The S&P 500 was little changed on Tuesday, as mixed earnings reports and concerns about the upcoming U.S.-China trade talks gave little impetus for markets to recover from a slide a day earlier. Initial releases in a bumper day of results showed 3M Co gaining 2.5 percent after a better-than-expected quarterly profit, while Verizon Communications Inc and Harley-Davidson Inc dropped after downbeat reports. Industrial stocks, which took a beating after Caterpillar Inc’s China warning on Monday, gained ground. The index rose 1.1 percent, driven by strong reports for 3M Co and defense companies, in turn helping the Dow Jones industrial index stay afloat. Wall Street sold off on Monday as profit alerts from a series of companies raised fears that a slowdown in China and tariffs could take a bigger hit on profits. In a potential setback to the progress in U.S-China trade talks, the U.S. Justice Department leveled charges against China’s telecom giant Huawei days before a high-level meeting between the two countries in Washington, aimed to tackle a prolonged tariff war that has roiled financial markets. “Huawei is a competitor and a supplier to U.S. companies, so any negative impact can be felt on a broader spectrum,” said Randy Frederick, vice president of trading and derivatives for Charles Schwab in Austin, Texas. Although earnings have largely surpassed Wall Street’s expectations, helping the S&P 500 climb about 12 percent from its December lows, worries about slowing global growth have tempered expectations. During trading, the Dow Jones Industrial Average was up 65.44 points, or 0.27 percent, at 24,593.66, the S&P 500 was down 2.53 points, or 0.10 percent, at 2,641.32 and the Nasdaq Composite was down 26.68 points, or 0.38 percent, at 7,059.01. The Federal Reserve begins a two-day monetary policy meeting on Tuesday. After raising rates gradually last year, the central bank is taking a wait-and-see approach to further tightening in the face of an overseas slowdown and market volatility. Defense contractors L3 Technologies Inc rose 7.7 percent and Harris Corp climbed 8.1 percent after topping quarterly earnings estimates. The S&P communication services index fell 0.92 percent, dragged down by Verizon, which dipped 3.4 percent after the largest U.S. wireless carrier missed quarterly revenue estimates. Harley-Davidson dropped about 4.5 percent after the motorcycle maker reported a lower-than-expected quarterly profit, hit by declining sales in the United States. Allergan Plc fell 6.6 percent after the Botox make forecast 2019 revenue below expectations. Advancing issues outnumbered decliners for a 1.45-to-1 ratio on the NYSE. Declining issues outnumbered advancers for a 1.08-to-1 ratio on the Nasdaq. 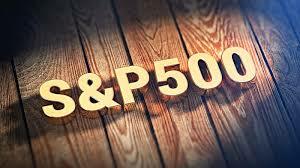 The S&P index recorded eight new 52-week highs and one new low, while the Nasdaq recorded 15 new highs and 12 new lows.